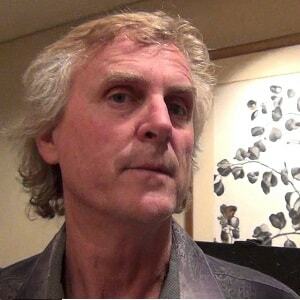 Douglas Taylor is a multi-talented: artist, author, lecturer, teacher and woodworker. During much of his youth, he was a surfer traveling around the world searching for that illusive perfect wave. He never quite found that perfect wave but his travels stimulated his adventurous spirit. He developed a profound appreciation of nature and its healing and rejuvenating effects in his life. Douglas is sought after to speak at many UFO and other Metaphysical gatherings and has displayed his art at many conferences and art galleries. He also a frequent contributing writer and cover artist for several new age magazines and books. Douglas and his soul mate wife Serena do many lectures, workshops and presentations. Serena also does readings and astrological readings. His art and lectures are vehicles that he uses for connecting with other like minded souls. Douglas likes to help others develop their own creative abilities and help them detach from former negative experiences. Attendees report a most positive and Spiritually empowered experience. Douglas points out that creative expression is a direct line to the Universal Forces that can and will inspire us in every aspect of our lives. He continues by stating that true inspiration comes as an uplifting power that helps us to overcome our self imposed limitations. However, Douglas, quickly adds that true inspiration and empowerment are not meant for selfish purposes. He sees that these “powers” need to be used to help others to develop their own highest potential.